Hey Girls! How are you doing? I hope you are good! We all remove unwanted hair. Some of us use hair removal creams, few of us wax and others shave or epilate. No matter which hair removal process we use, there are sometimes few nicks and cuts or some itchy sensation, the solution for which is always an after shave balm. An after shave balm should actually be used each time we get rid of those unwanted hair to protect our just shaved or damaged skin. It might happen to you that your after shave balm may get finished or you don’t want to use chemicalised creams over there. DIYs are again your saviour, as I always say! 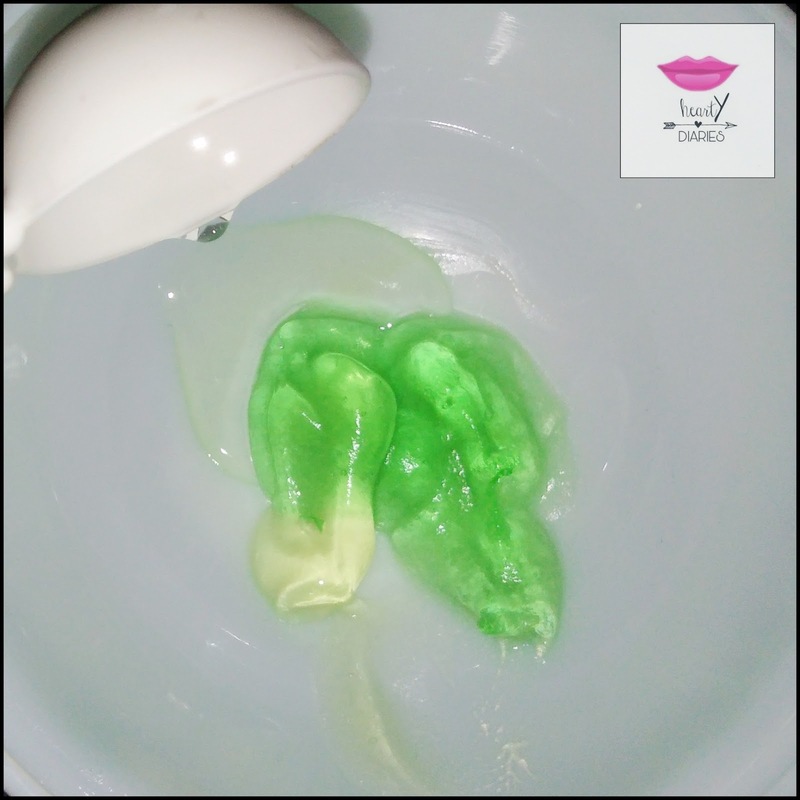 So without wasting any more time, let’s get started with the tutorial of how to make your own post shave balm at home.. This balm is really gentle and soothing for your just shaved skin and leaves it moisturised, refreshed, toned and healed. 1. 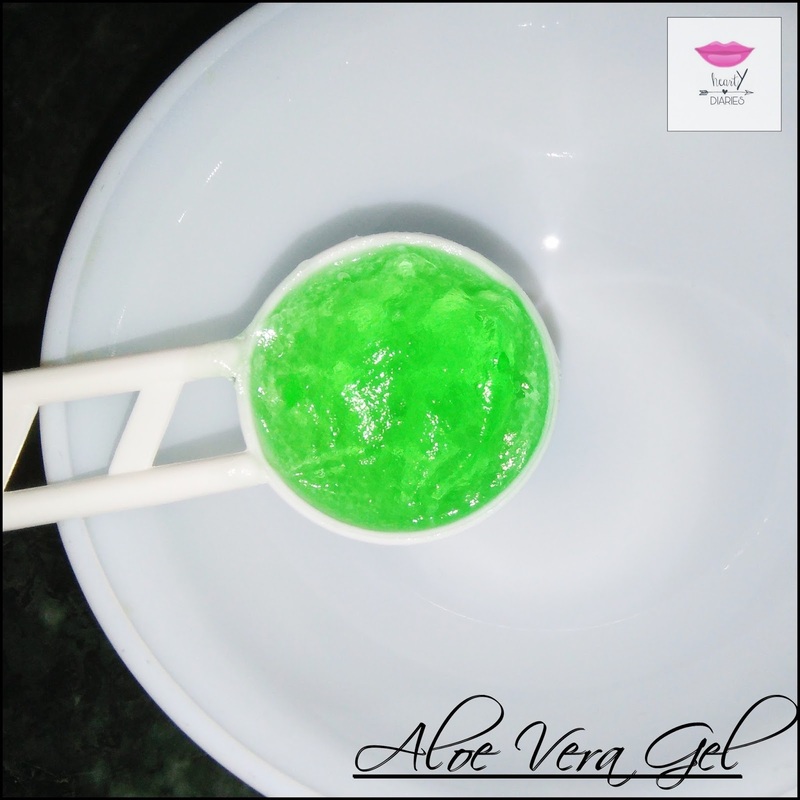 Take 1 teaspoon aloe vera gel in a mixing bowl. 2. 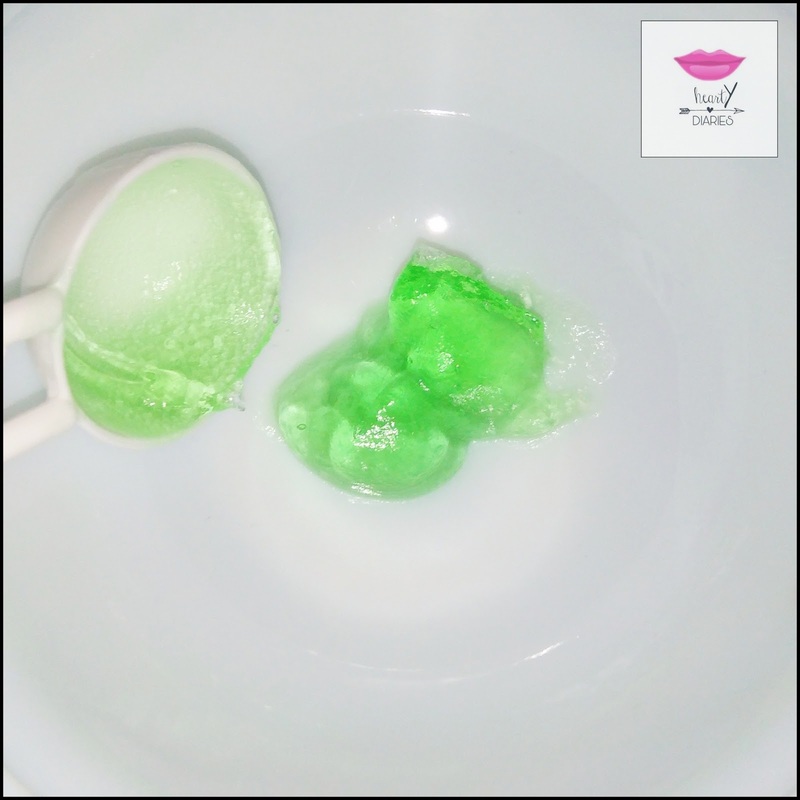 Add 1/4 teaspoon lemon gel to it. If you are sensitive to lemon, you may easily skip this step. 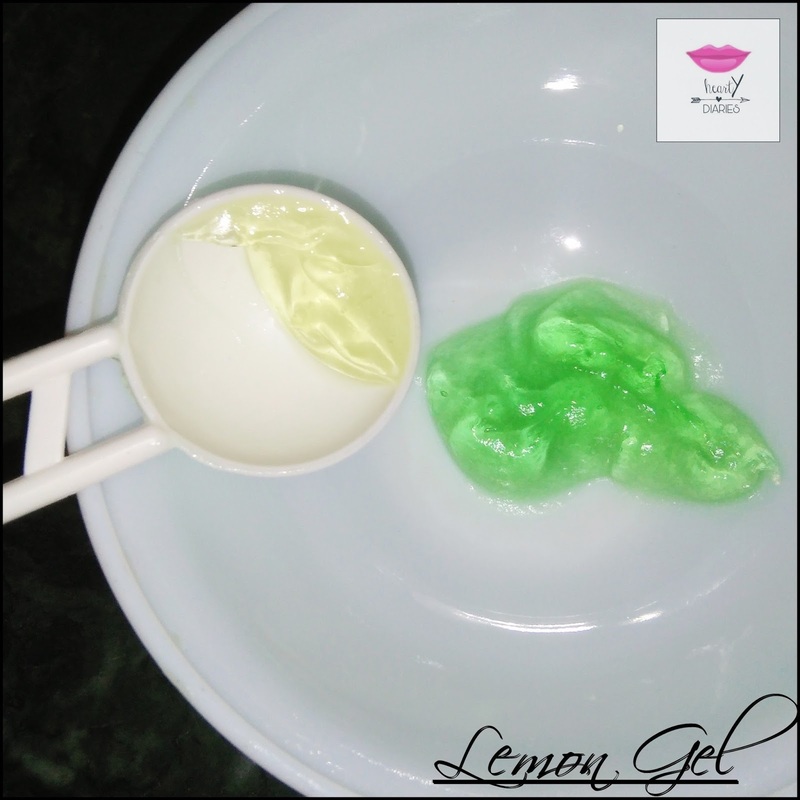 Lemon gel is just used to lighten the skin colour. 3. 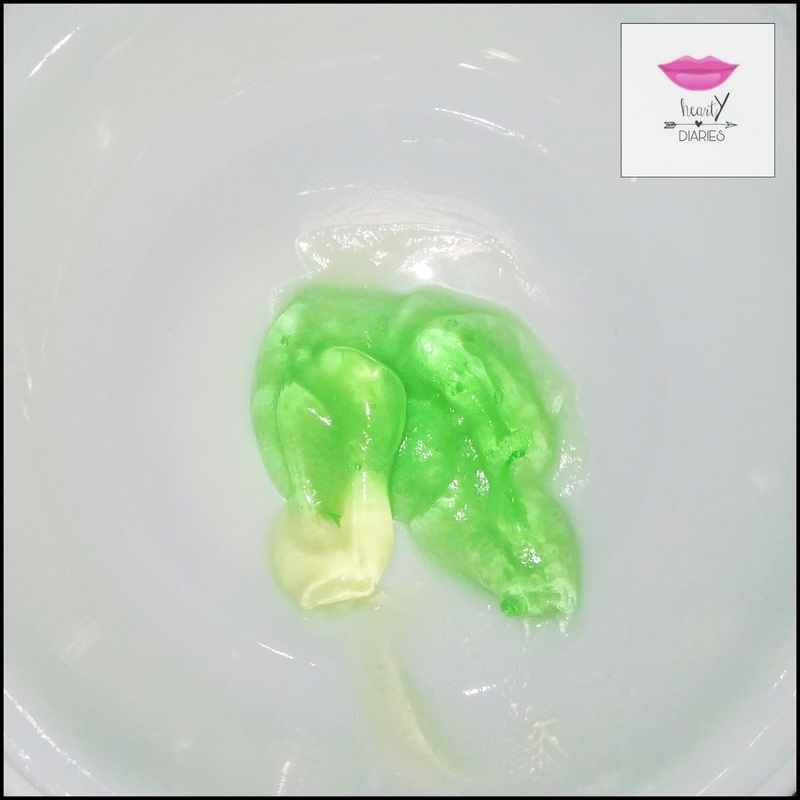 Now add 1/2 teaspoon glycerin to this gel and mix well until you have a creamy consistency. 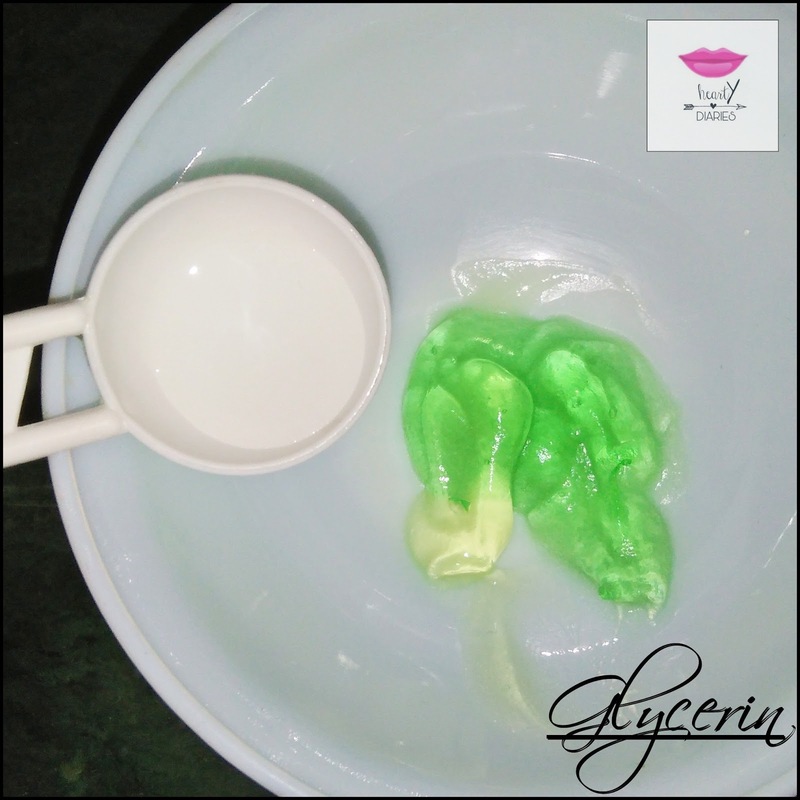 Glycerin is a natural humectant and helps retain moisture in the skin. 4. 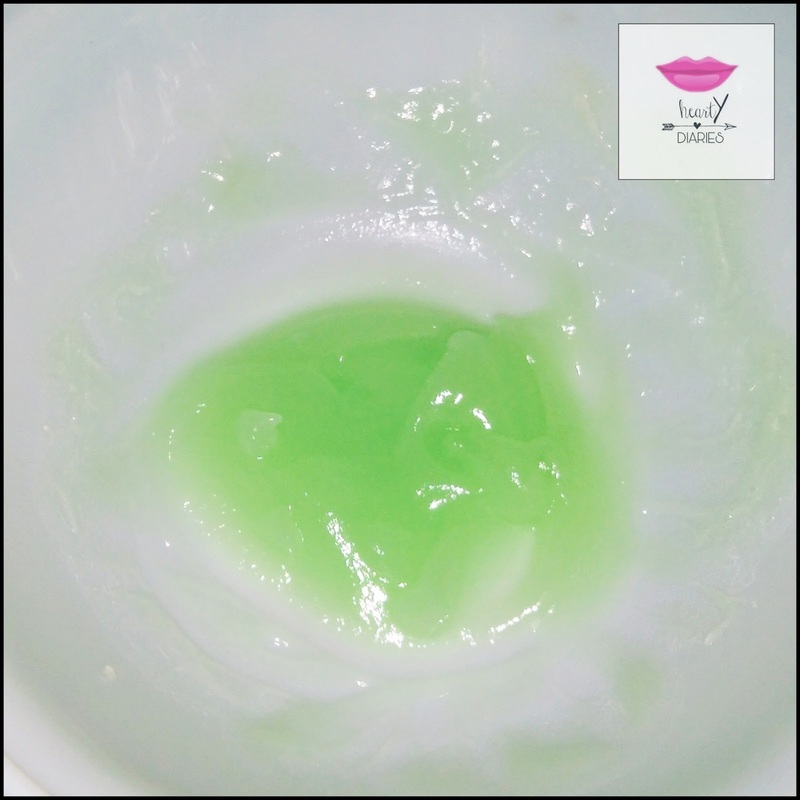 Next add two to three drops of Vitamin E oil to this cream and mix well. I am using Evion capsules. You could use whichever available. 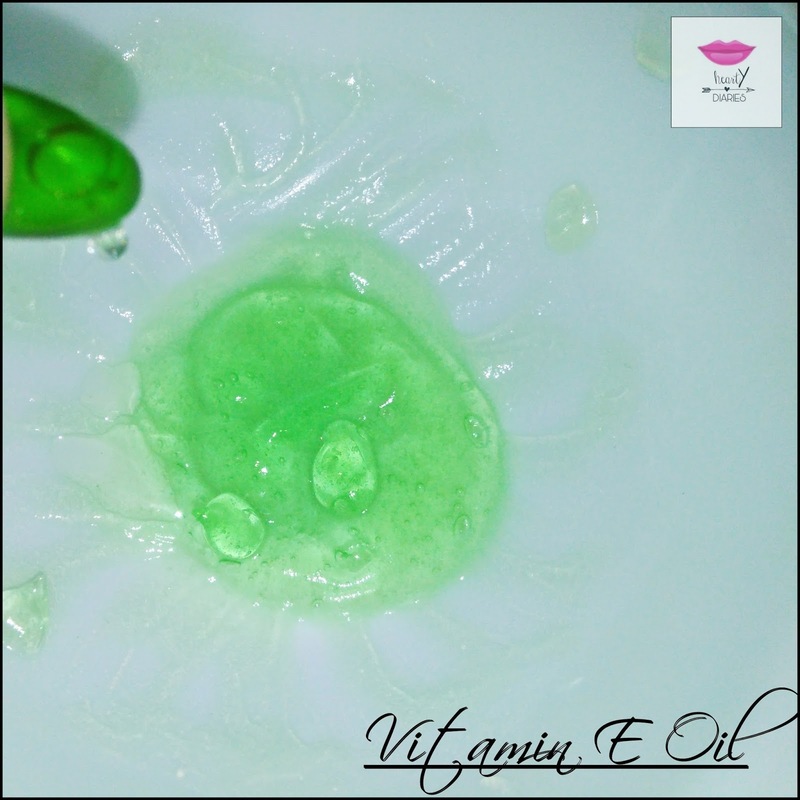 Check top 10 uses of Vitamin E Oil here..
5. Now add 1/4 teaspoon coconut oil to this mixture and mix well again. 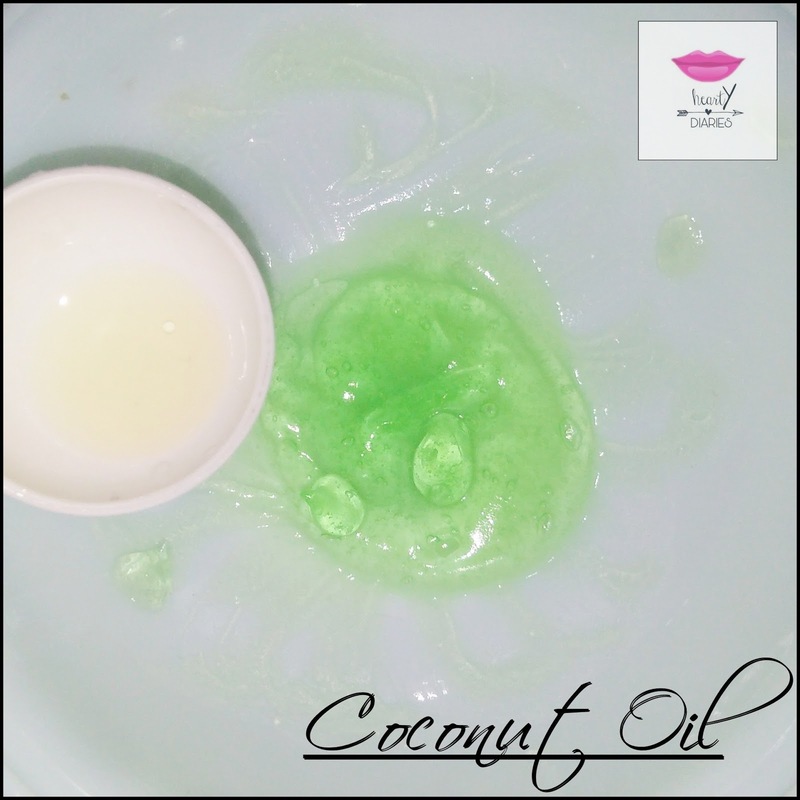 Coconut oil soothes the skin post shave and protects it from any kind of damage. 6. Now add 1/2 teaspoon non alcoholic witch hazel to this mixture. 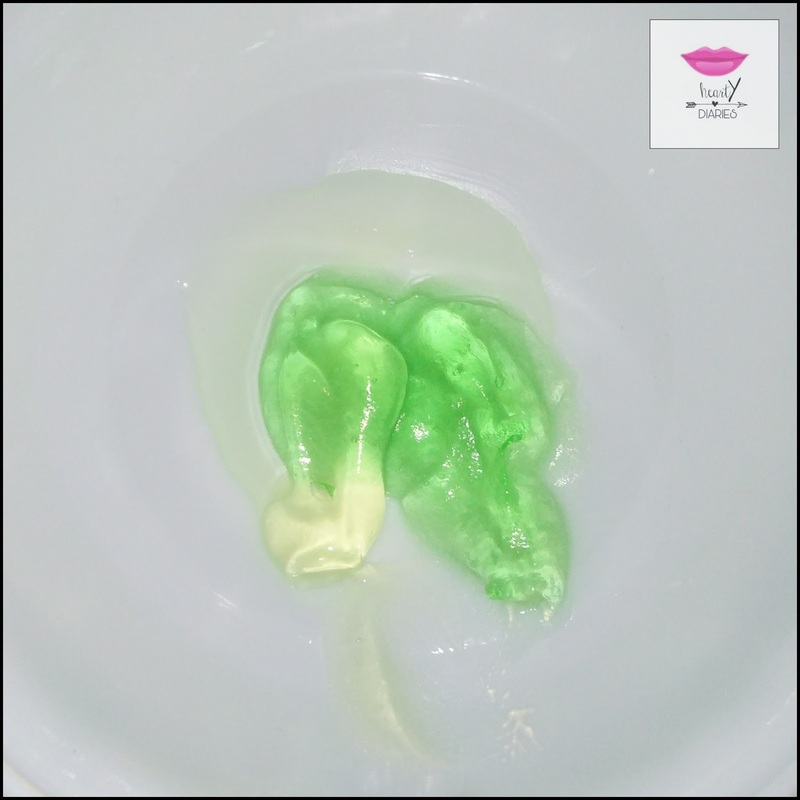 It has natural astringent properties and reduces after shave irritation. If you can’t find or don’t prefer using it, you can use any antiseptic skin liquid. 7. Finally add Tea Tree Essential Oil as it protects our skin from germs and infections. You can also add any other essential oil for fragrance or preservation but that is completely optional. I am not using any essential oils here. 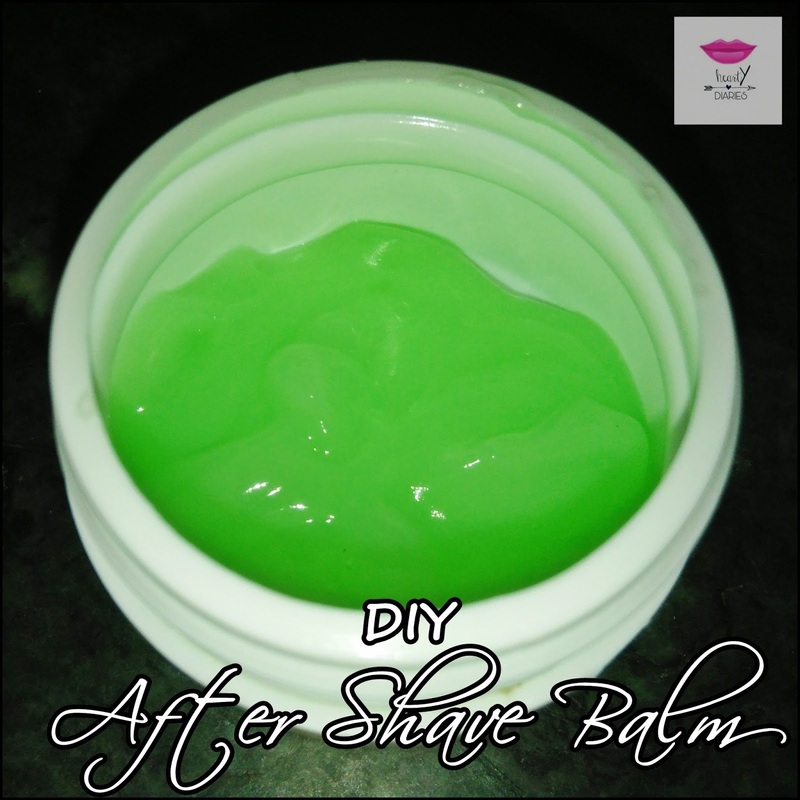 Your DIY After Shave Balm is ready! Shelf Life: I prefer making this balm each time I shave. The quantity lasts me for one use. You can adjust the ratios as per your need but if you want to make it in a larger quantity, store it in refrigerator for maximum 6 weeks. Disclaimer: I am no doctor, no professional. Do not take this tutorial as a substitute for a medical advice. I am in no way saying that you should not buy after shave balms and make them at your home instead but I always make sure to do a lot of research before sharing anything on my blog. 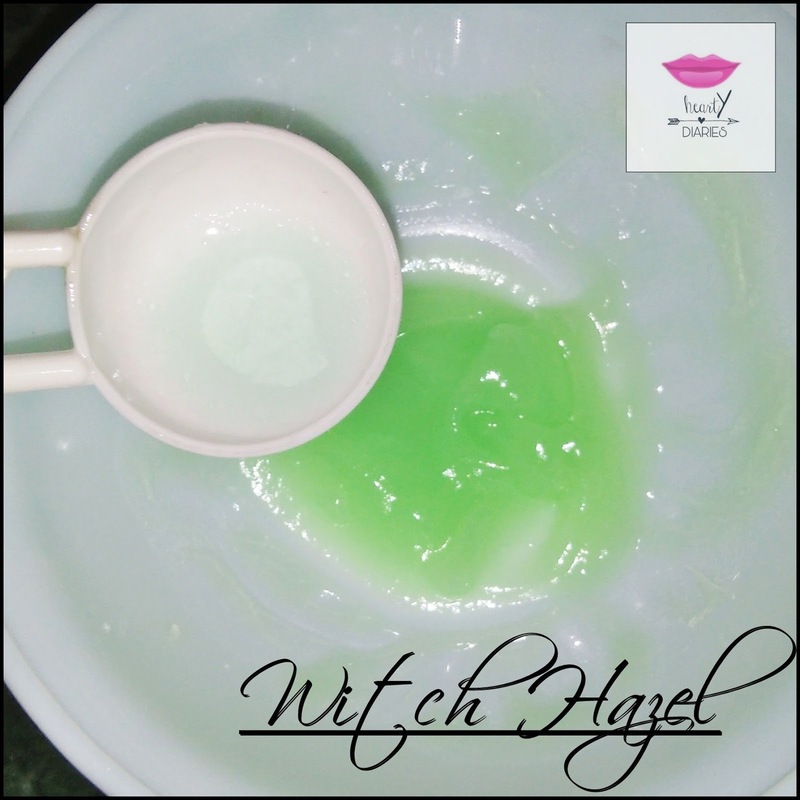 Even though all the ingredients I am using here are very soothing and calming but always make sure to do a patch test. What suits me may not always suit you. I hope you found this post useful. If yes, don’t forget to share this post, comment on it and follow my blog. It would mean a lot to me. Do not forget to like my Facebook page, follow me on Instagram, Twitter and Roposo and ask me questions (even anonymously) on ask.fm! Amazing!! I am definitely going to make this.. Thanks for sharing! It's my pleasure… This is the best DIY I've ever done….